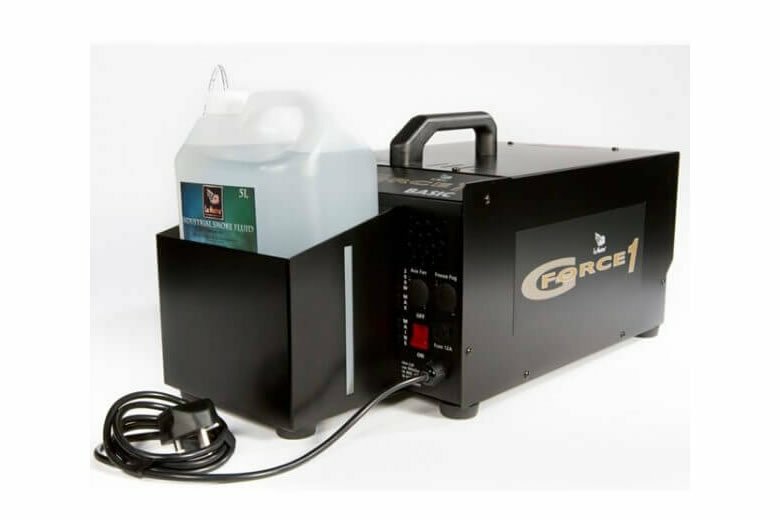 The GForce 1 Smoke Machine is the entry level model in Le Maitre’s GForce range of high powered, continuous flow, water based smoke machines, based on the core technologies of G300. 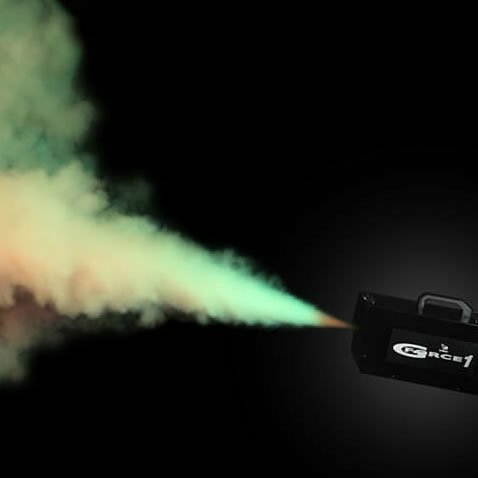 With smoke output ranges up to 19,000 cbm/hr, the GForce 1 provides a realistic, reduced visibility environment, producing huge amounts of dense white, non-toxic smoke, ideal for emergency simulation sessions. 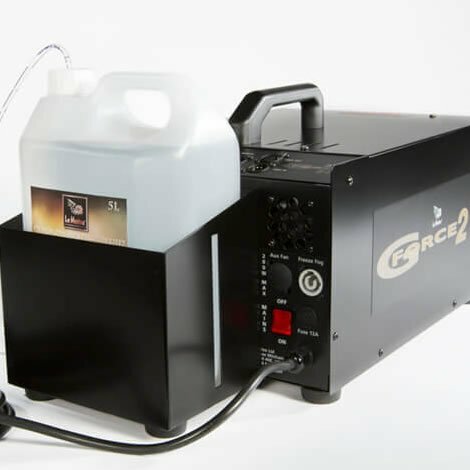 The GForce 1 Smoke Machine can be used with Le Maitre’s own Industrial Smoke Fluid. 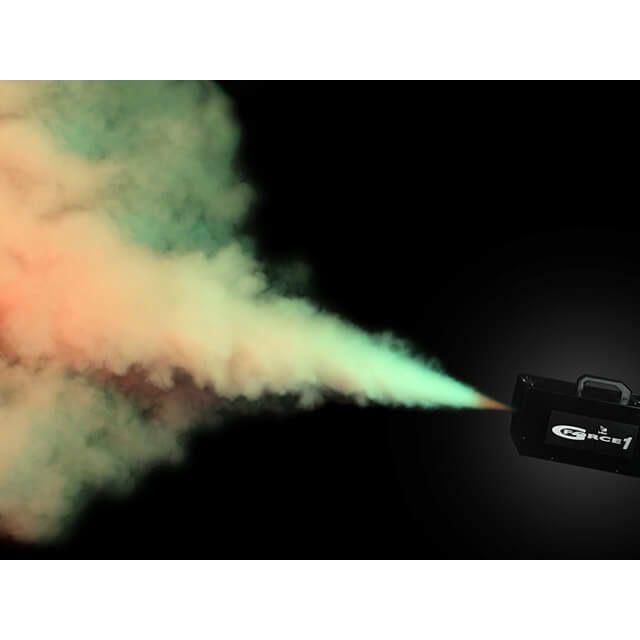 This water-based, non-toxic fluid is perfectly engineered for BA training. 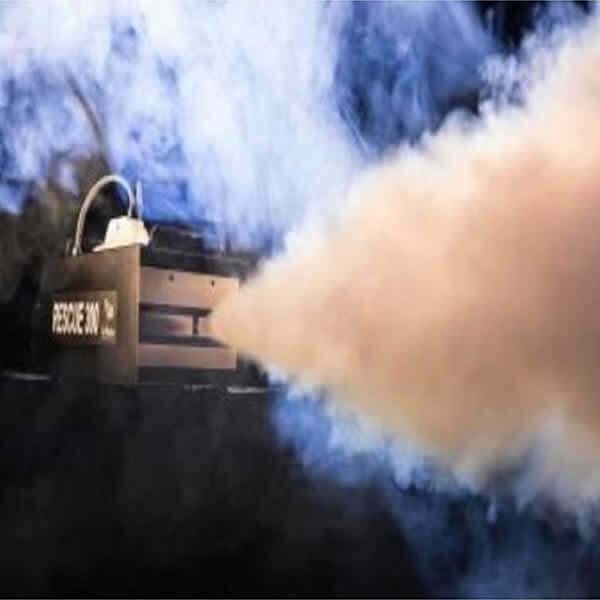 A combination of mono/polyglycol, glycerol and de-mineralized water, produces a dense white smoke with consistent particle size and a lengthy hang-time, sustainable even at high temperatures. 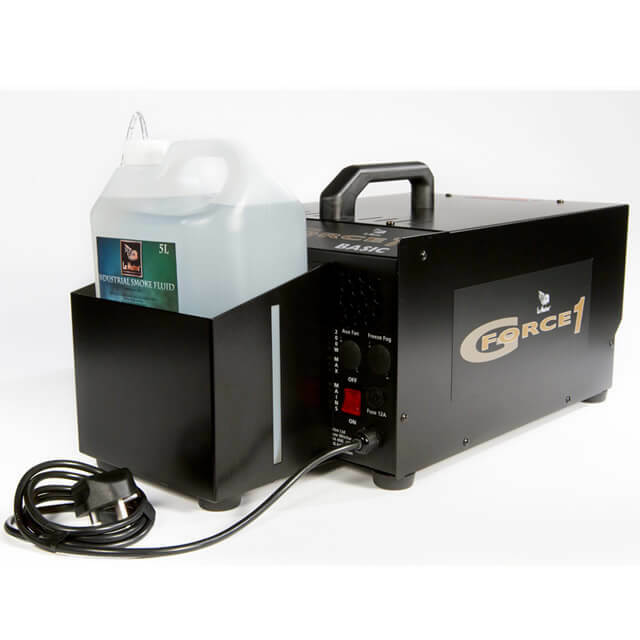 The GForce 1 Smoke Machine uses a low pressure system to produce the safest smoke. The higher the pressure internally in the heat exchanger, the higher temperature the fluid is heated to. This can lead to molecular charring causing free radicals to be formed. This in turn can lead to all sorts of unpleasant molecules to be formed. 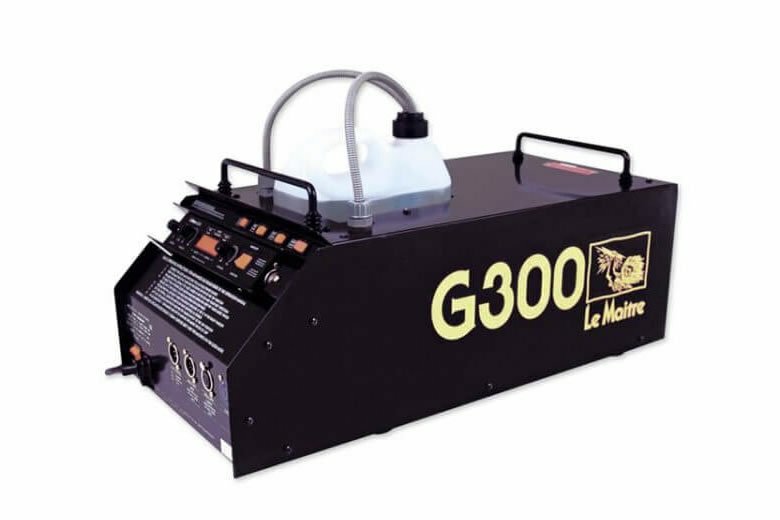 Whereas with a low pressure system such as that used in the Le Maitre’s machines, the temperature is much easier to control and the units are able to produce smoke that has not been burned at high temperatures. 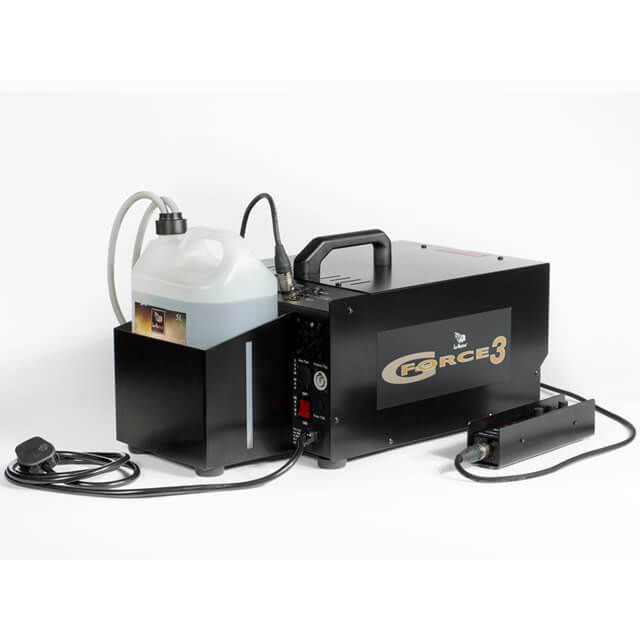 As with all Le Maitre Smoke Machines, the GForce 1 uses a patented “Layered Block System” called Genesis. 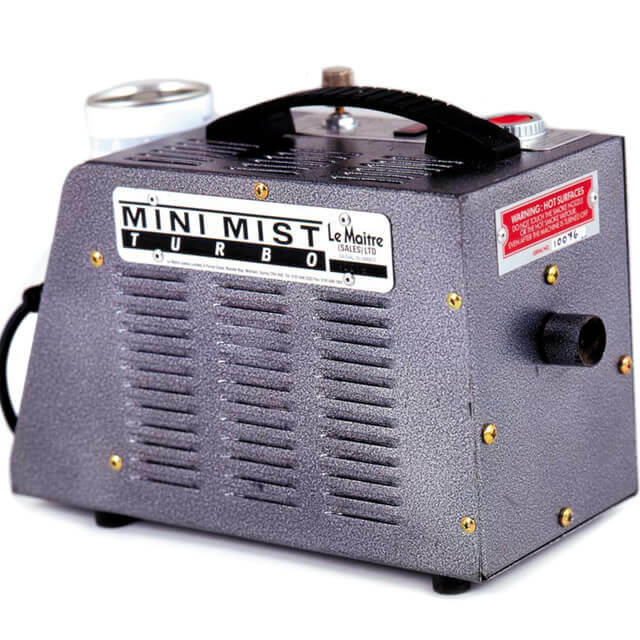 Along with this they use a short heating pipe of just 1m which allow the smoke machines to be powered by much smaller wattage heaters than competitive models, but still give immense power. Furthermore, Le Maitre’s heater blocks can be dismantled and serviced or replaced, while competitive a cast blocks cannot, becoming scrap once they reach the end of their life. 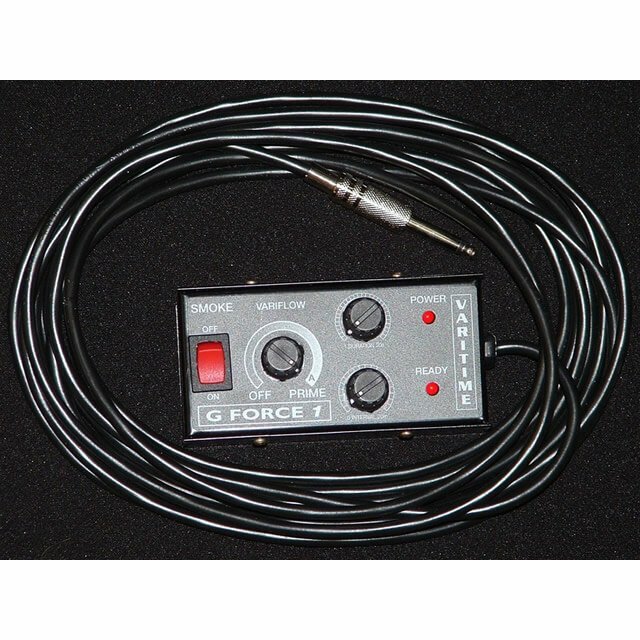 The GForce 1 Smoke Machine is made in the UK.